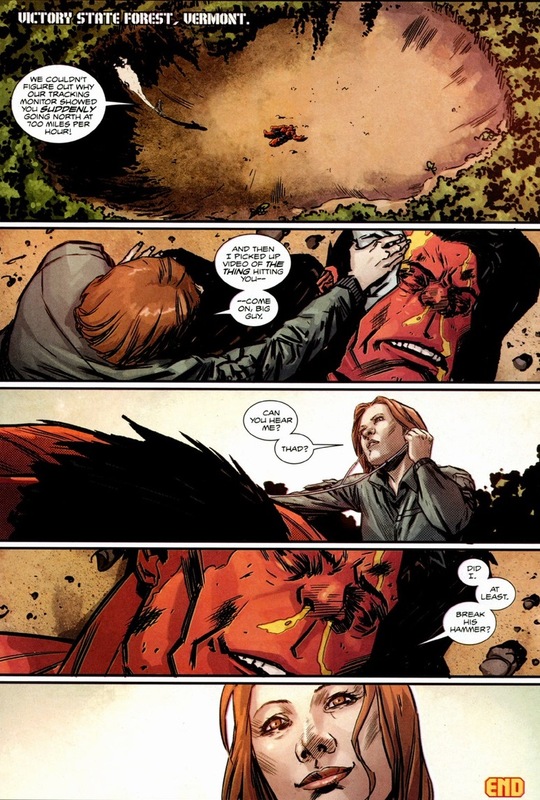 For today’s finale, if Red Hulk isn’t punching someone who has the power to destroy small continents, I don’t want to read it. I mean, that goes with being a Hulk, right? Superman fights the intergalactic plague threats that Batman simply can’t handle. Hulk fights the giant possessed hammer monsters that Hawkeye won’t do much good against. Though to be fair to Hawkeye, he doesn’t have to fight giant possessed hammer monsters. So that’s a plus. 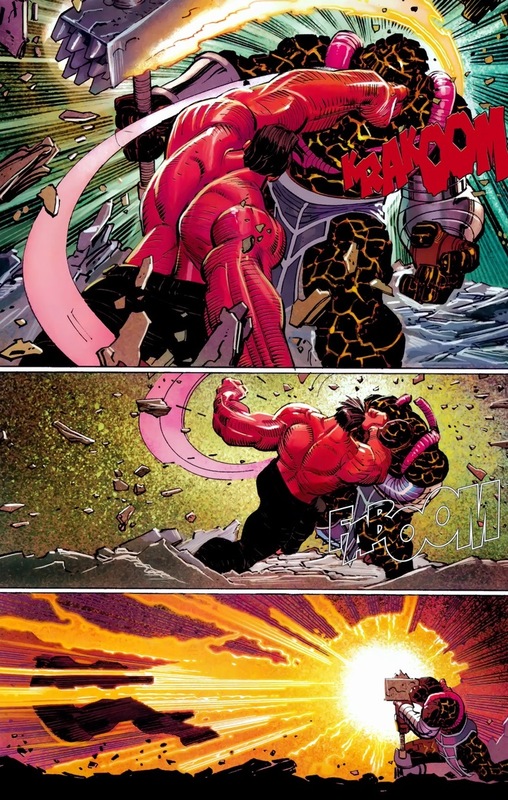 Today, we’re taking a look at two fights from Uncanny X-Men #11, written by Kieron Gillen and drawn by Greg Land, as well as Avengers #14, written by Brian Michael Bendis and drawn by John Romita Jr. First up, Red Hulk versus Juggernaut Colossus — like normal Juggernaut but now with unbreakable steel skin. 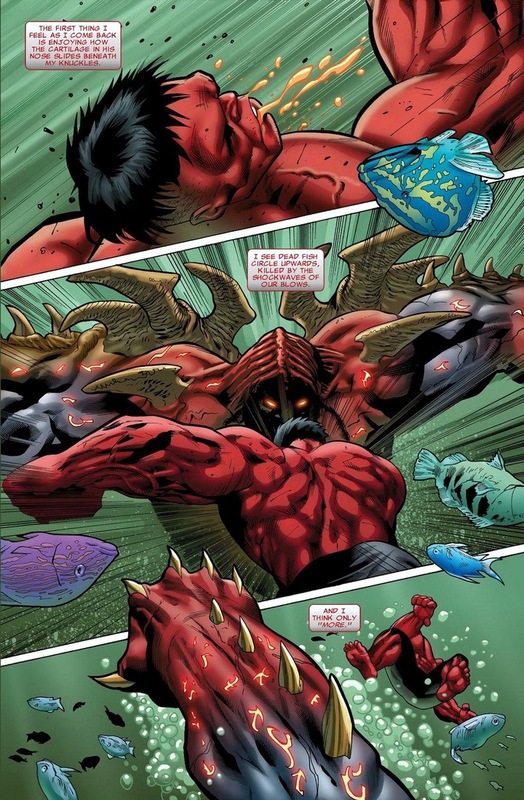 Oh yeah, and this fight takes place underwater. 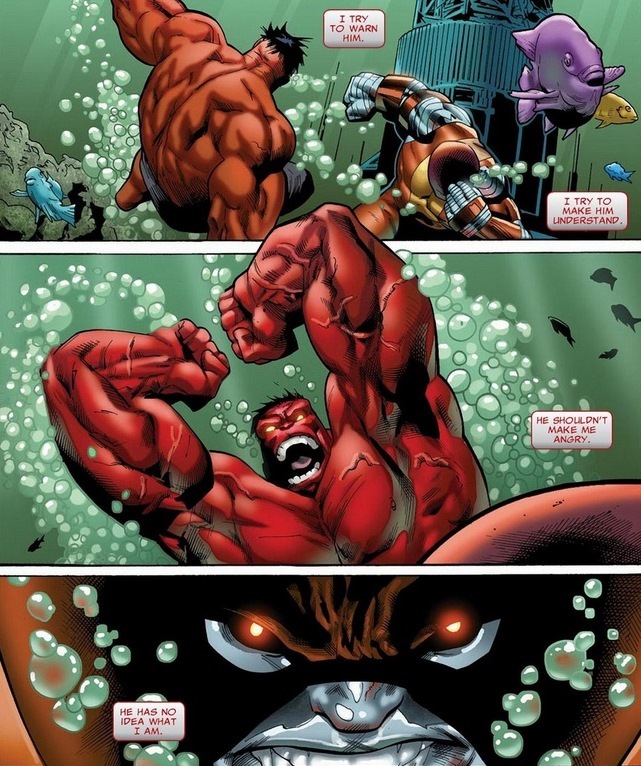 When I googled, “Can Hulk breathe underwater?” the answers returned unsatisfactory, so I assume Red Hulk grows Hulk gills when he touches a pond or something. 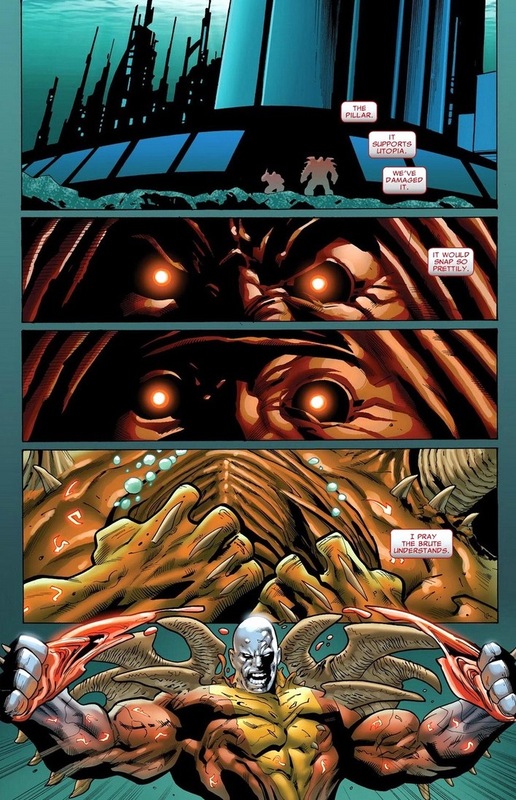 As for Juggernaut Colossus, actual evil demon powers should be enough oxygen or whatever. My superhero science knowledge tends to be on par with my real life science knowledge. Green Hulk would charge into battle screaming something about himself in third person. That’s because green Hulk’s dumb (on occasion). 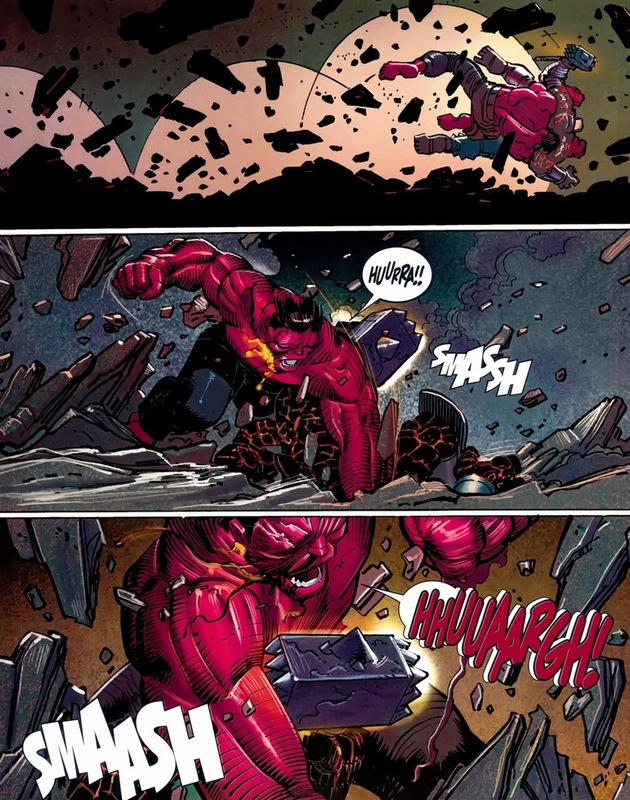 But as Red Hulk, General “Thunderbolt” Ross keeps all the cognitive and tactical skills he possesses in his human form. And any good strategist would suggest getting the hell out of the water. 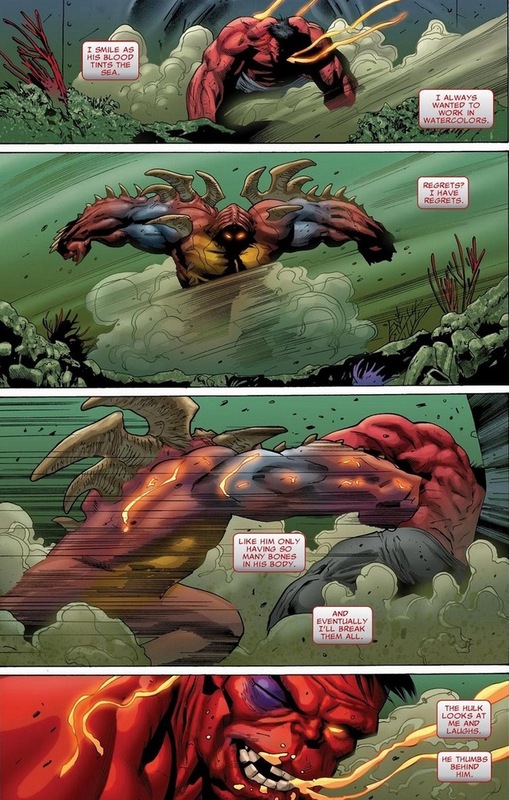 Red Hulk barely stands a chance against normal Juggernaut Colossus, much less Evil Demon Juggernaut Colossus. But like any good Hulk, he does the usual Hulk strategy: punch harder. 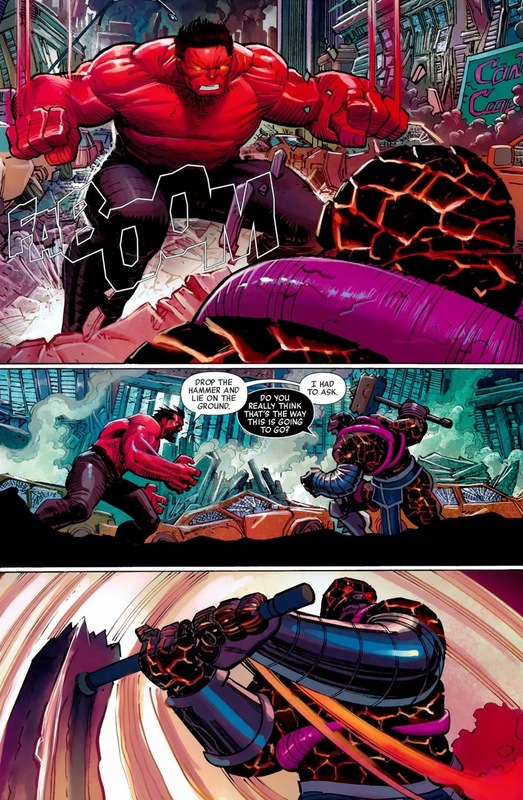 I’ve mentioned this briefly before, but the two Hulks’ powers work differently. Green Hulk gets stronger the angrier he gets, growing to a theoretically limitless strength level. 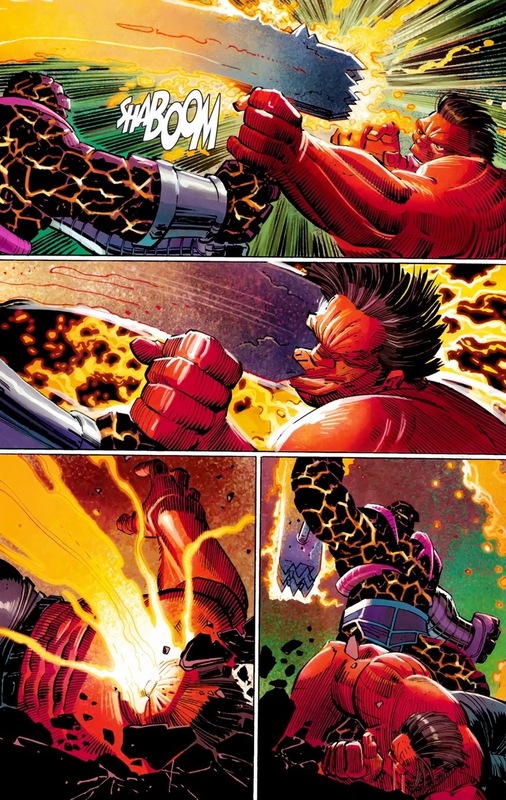 But Red Hulk doesn’t have that advantage — he starts the fight at maximum strength, which is about as strong as green Hulk at the start of his transformation. 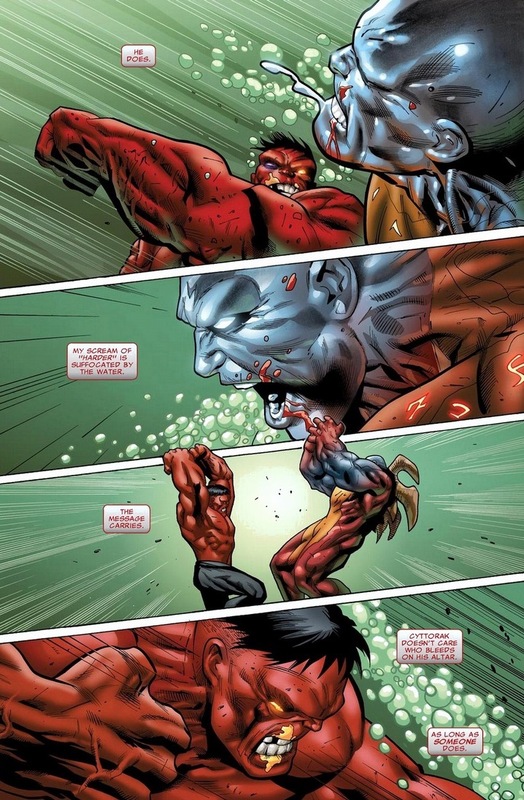 The difference (besides Red Hulk emitting heat) remains that Red Hulk’s simply a better fighter, which comes from soldiering for the past three or four decades. 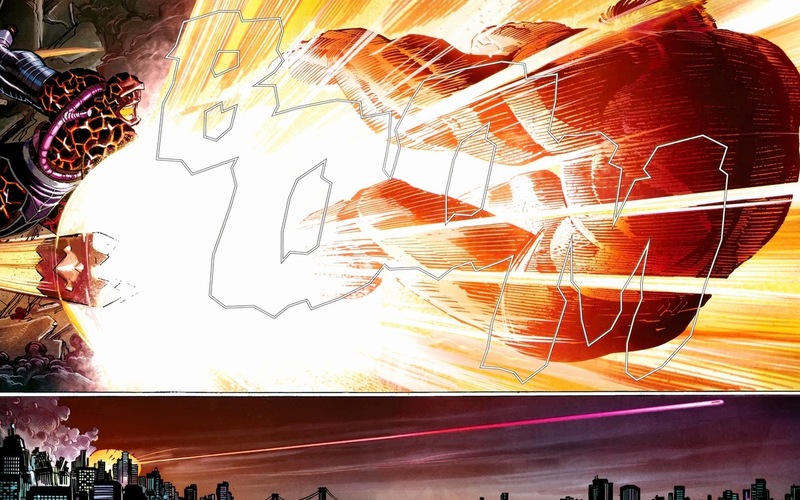 So knowing he can’t take Evil Demon Juggernaut Colossus in a boxing match, he goes to Plan B.
Utopia, where the X-Men lives, is an island held up by a single Atlantean pillar. 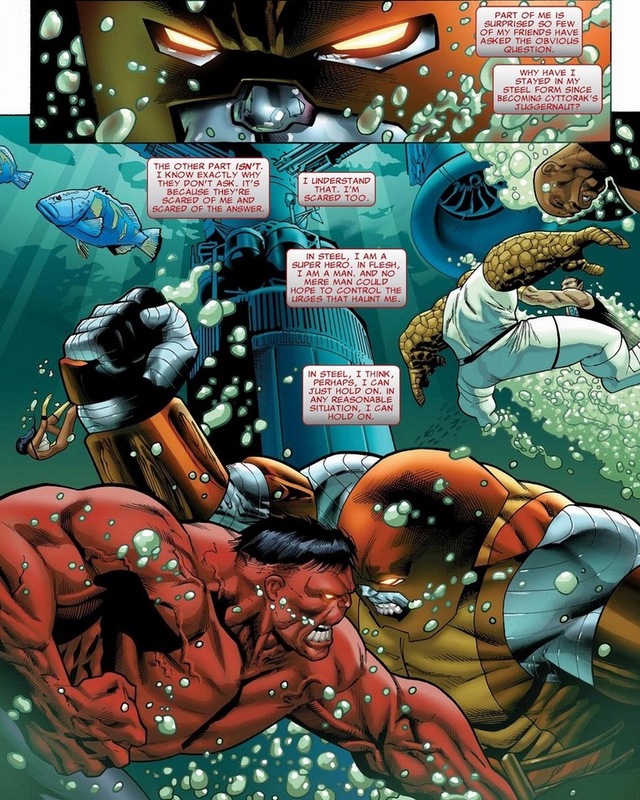 Victory to Red Hulk, though Colossus kinda forfeits the fight on purpose. 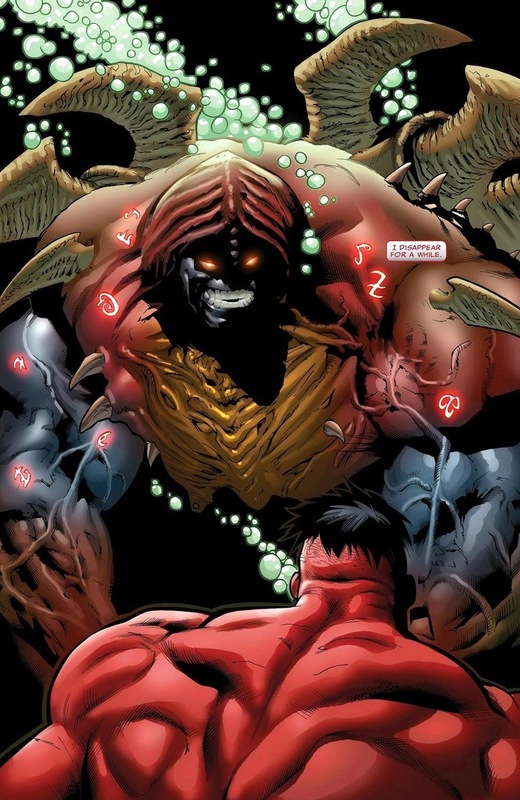 Sadly, our next fight doesn’t contain the strategic genius that propelled Red Hulk into our awaiting hearts. Remember how people complained about Superman’s fight against Doomsday? The entire thing ended up being a fistfight until both killed each other in that famous simultaneous strike. And with all of Superman’s powers, ideas, and buddies, Superman settled on a simple punching contest? Now, disregarding dramatic storytelling reasons, I have a theory. If Mike Tyson hits you in the face, any other strategies and plans would go straight out the window — Superman gets punched with the hardest punch he’s felt in his life and suddenly the fight becomes more about not letting your opponent see you cry than manipulating the landscape and your arsenal of superpowers to inflict maximum damage. Or maybe fans are still mad that he came back from the dead. 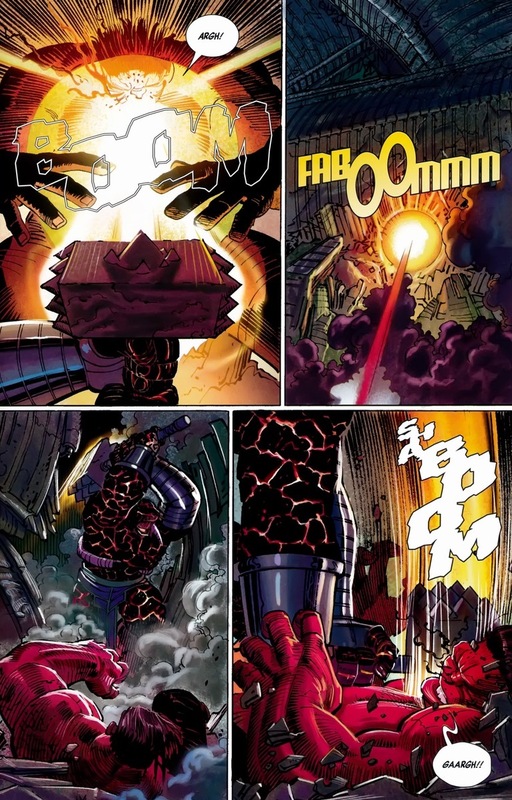 During the Marvel event Fear Itself a few years back, magical hammers fell to the earth that turned whoever touched it into giant possessed hammer monsters. Unfortunately, one of those happened to be the Thing. 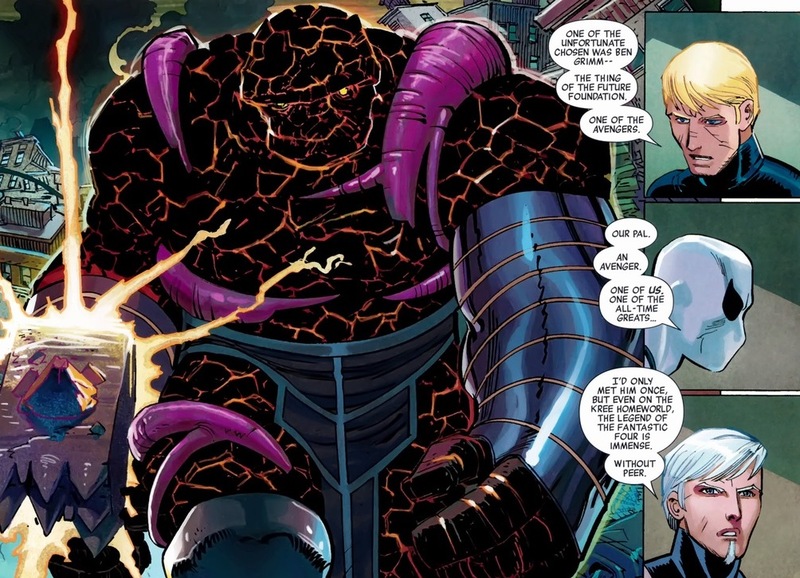 The Thing already has enough strength to give Red Hulk a run for his money, but now he also gets cool armor and a Thor hammer. Still, Hulks don’t do much worrying. You detecting a theme here? 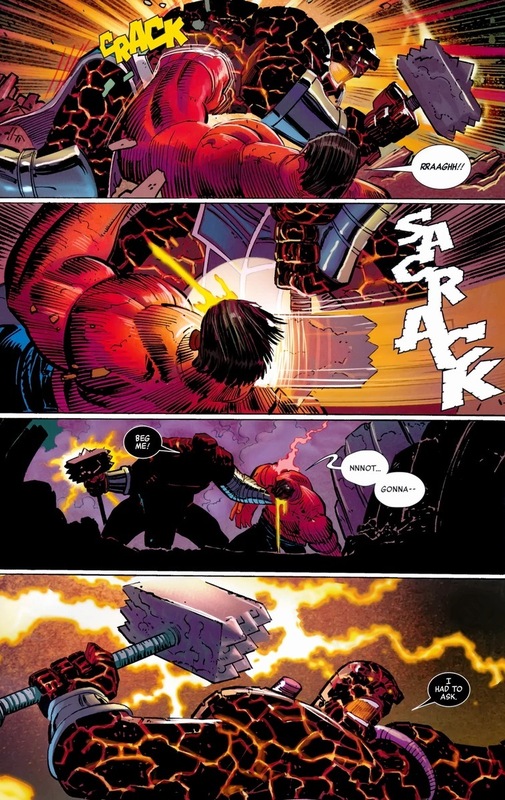 Let Red Hulk fight his Doomsday, because a beast who benches 100 tons now swinging a hammer would be a total day ruiner. 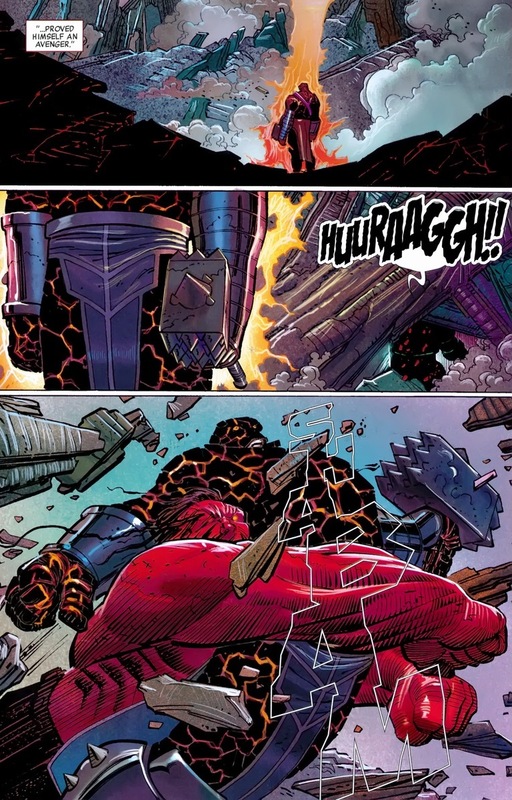 Not content to just smash Red Hulk to death, the Thing throws in some collateral damage as well. 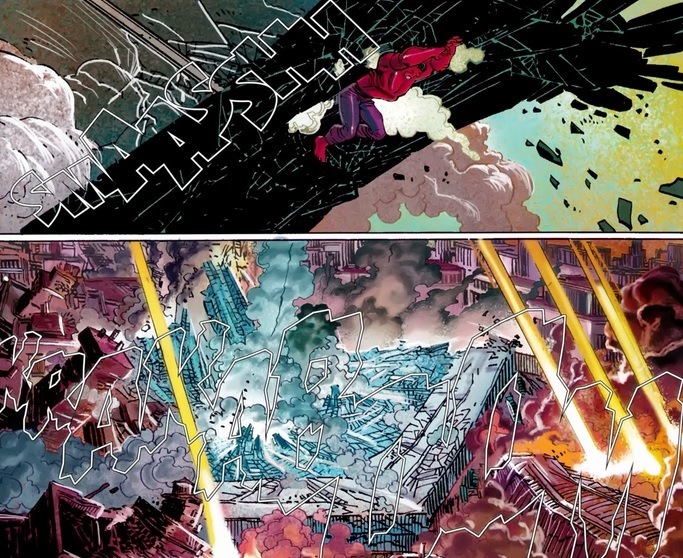 A significant event in comics, because while the Avengers Tower or Mansion collapses once a year or so, the symbolism shouldn’t be mistaken. It’s just symbolism that repeats itself constantly. 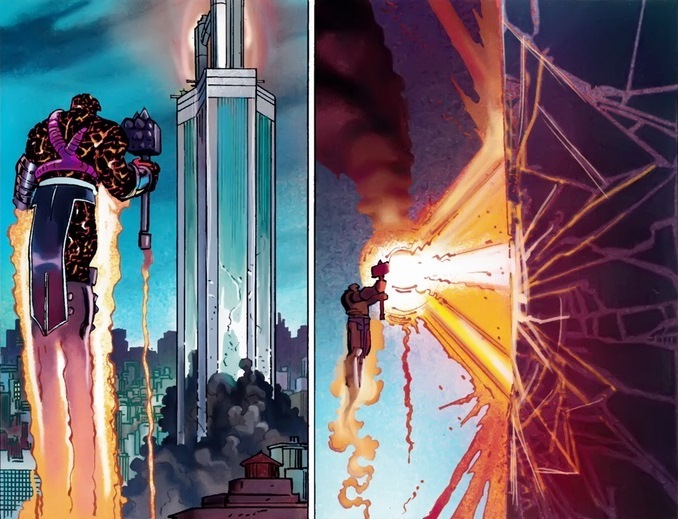 Also, Red Hulk just got crushed by a skyscraper. See why Hawkeye doesn’t fight certain bad guys? At least under Peter David, the Hulk had to breathe, and drowning was a genuine threat to him. At one time, while fighting Ajax of the Pantheon, Ajax was holding his head down in a few inches of water, and the Hulk realized that could be enough to finish him off. These days, ever since Superboy punched the Cosmic Cube, who knows what holds up.